Yesterday I got my new Erin Condren Life Planner in and could not wait to fill it will dates and memos for the year to come. Before I did that though, I flipped through my planner from the past year and a half(July 2013 - December 2014) and reflected on where I was, where I have been and where the Lord has me now. Time like that are always such a blessing because not only does it give me a little perspective, but it also give me hope for the next season of life to come. Looking back a year and a half ago, I was single, still living at home, still trying to figure out my role at work, yearning for gospel-centered community and much more. A year and a half later I am moving on from a six month serious relationship, living in my own house, somewhat figuring out my way at work and loving my full life. Part of me is happy to be setting up a new planner for the next year because it will no longer have pages filled with dates from my past relationship and reminders of him. But another part is sad to see those memories fade away, because even though that relationship is gone it was still a beautiful one and those were some really great days. I grew so much during that relationship and those dates, and those planner pages are great reminders of happy times and the Lord's generosity in relationships. Another part of me is happy to see the old planner be placed on the shelf because the renovation battles and struggles are going with it. No longer are the days of uncertainty and confusion of renovating my own house a reality. As much as those days made me grow and become a stronger woman, I am not sad to see them go. As for the memories, they are in the house that I get to call my home everyday. An exciting part of those pages are the relationships that have grown over the many nights at home group with my wonderful group from church. Those Thursday nights on my calender are something that I look forward to each week and I am so happy that they will be in my next calender for the new year! Those women have provided some much needed gospel-centered community that had been missing in my life since college. As I look back at my meetings and appointments for work through my calender I almost have to laugh. I still remember one of those meetings from July of 2013 and boy am I thankful that I have grown as a designer and a business woman since then. The way that I present myself in meetings has changed, thanks to some humble confidence, the way that I prepare for meetings has changed and the designs that I take into meetings have changed and matured. Reflecting on the past year has reminded me what a wonderful year it was, even with some struggles along the way, and had gotten me very excited for the year to come. Happily I look back at those past 18 months and still recognize the woman that I was at that time. To me the only difference now is a little maturity, longer hair, and a woman with a better understanding of who she is and what she wants in life. What excites you about the new coming year? I love this, friend! 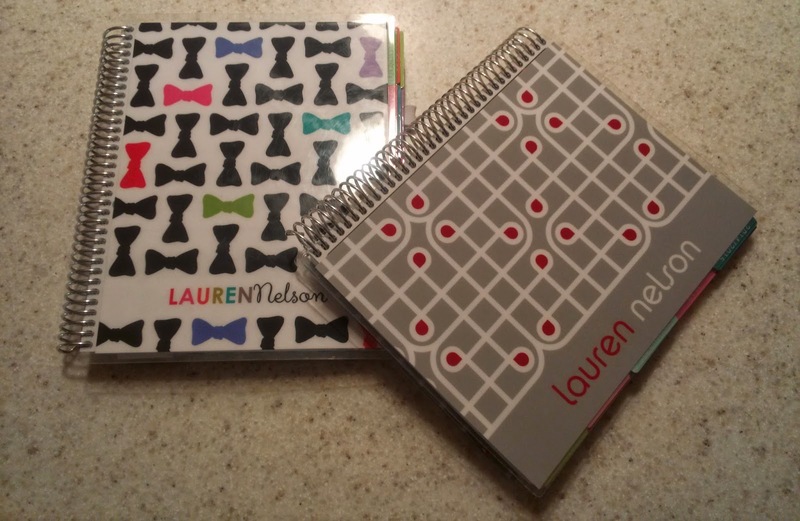 And I have never ordered an Erin Condren planner. Not because I don't like them...but because I haven't been able to justify the price yet! Is it work the money?